Today’s episode is focused on one of Jay’s tools, the Hook List. The Hook List is Jay’s weekly or bi-weekly “goal” sheet for items that his coaching clients have agreed to complete before they see him next. Basically the things that you are “on the hook for” in terms of transformation. 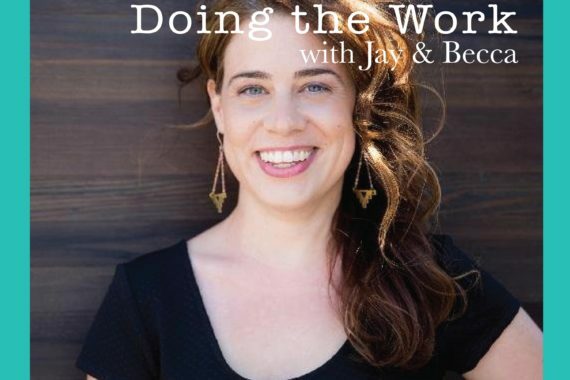 This list is a great way for folks who are doing this work without the help of a life coach to keep themselves in check. Add an accountability partner and boom! You are making stuff happen! So what is included in a Hook List? Watch your thoughts and words. Create a mantra that you can believe. Develop baby step actions to take toward making your mantra true. Do NOT engage in negative self talk. 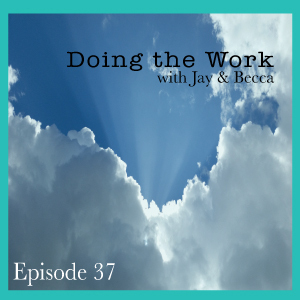 We invite you to join us in our private Facebook group, Doing the Work with Jay and Becca and share your hook list each week. What are you putting yourself on the hook for? How can we help keep you accountable? We are here. We see you.